Watched Stephen Fry blend entertainment and reporting – “Key To The City” (of London) on ITVPlayer. Worked for me – https://www.itv.com/itvplayer/stephen-fry-s-key-to-the-city/series-1/episode-1-stephen-fry-s-key-to-the-city. Nice to see a lot of people I know doing their part and proud of the City and their work. 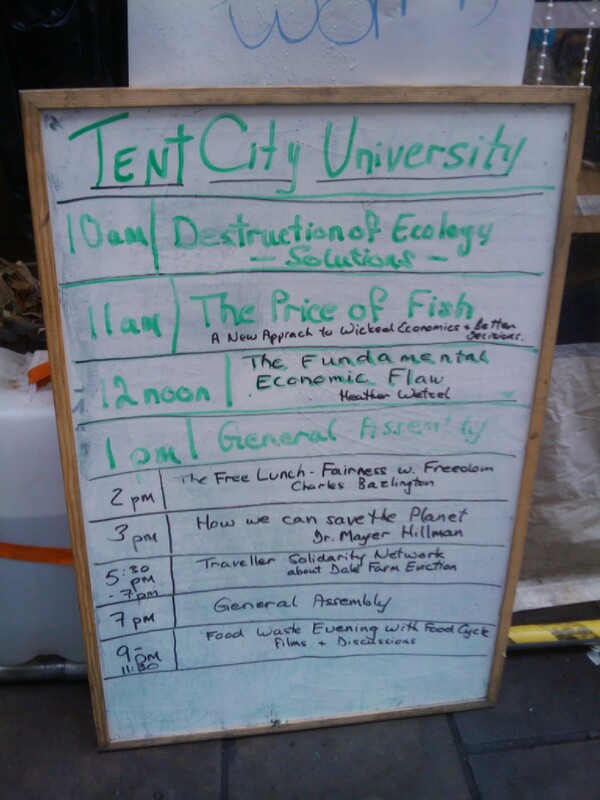 While attitudes have come a long way from the depths of November 2011 (see Occupy’s Tent City University outside St Paul’s Cathedral photo below – and note The Price of Fish seminar), the City still needs more reforms. We need to earn respect, not demand it. This past week we’ve seen lows and highs, from probable scandals in the aluminium markets to Mansion House continuing to develop the City Values Forum. 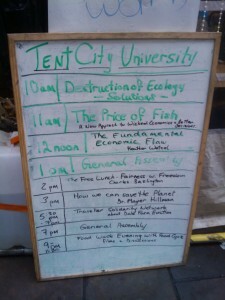 Long Finance respects the intentions of Occupy but believes that gradual, evolutionary reform from within is better than revolutionary reform from without. If you believe that too, get involved.